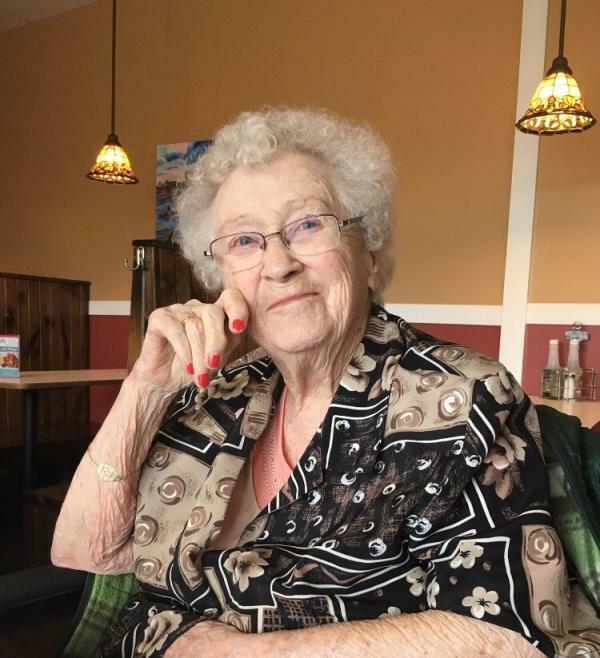 Passed peacefully away at the Health Sciences Complex on Monday, December 10, 2018, Joan King, age 89 years. Predeceased by her loving husband Art (1994); parents Philip and Julia; brothers and sisters: Jack, George, Margaret, Gert and Millie. Leaving to mourn with cherished memories, her children: Lindsay (Donna) and Bonnie (Darren); grandchildren: Bianca (Jon), Dionne (Matt aka “Mac”), Allanah (Nick), Colby, Tamara and Spencer; great-granddaughter Juniper; her sister Mae; daughter-in-law Leah; special nieces: Annie and Theresa; good friends: Helen Gosine and Helen and Eric Crummell; as well as many nieces, nephews, extended family members and friends. Special thank you to the staff and caregivers at Meadow Creek Retirement Centre and also to the doctors, nurses and staff at the Health Sciences Complex. Visitation to take place at Barrett’s Funeral Home, 328 Hamilton Avenue, on Thursday, December 13, 2018 from 10 am - 9 pm. Funeral service to take place from Barrett’s Funeral Chapel on Friday, December 14, 2018 at 10:30 am, with interment to follow at Mount Pleasant Cemetery. As expressions of sympathy, flowers are gratefully accepted or donations in Joan’s memory may be made to the SPCA. To view the online memorial guest book or leave a message of condolence please visit www.barretts.ca.